This is a logical question, as a security breach occurred in autumn 2017. Measures have been taken and much like any registry cleaner, this software bundle is considered to be safe at the moment. Can CCleaner be used to Fix a Registry? Over time, a registry can become cluttered with extraneous data. One of the primary purposes of CCleaner is to extract unnecessary files. This will free up memory and it can also help the system run faster. Can Deleted Files be Recovered by a Third Party? If this program is run at its default settings, there are possibilities that important files could be accessed even after they were erased. However, it is possible to lessen the chances that a third party will be able to recover such files. Utilising the "Secure Deletion" function will help to thwart such attempts. 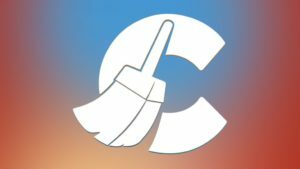 Is CCleaner Available for Mac Systems? Currently there is no version of this program which is compatible with Mac operating systems. This is primarily due to the fact that Apple restricts certain portions of its operating system that can be accessed (technically known as "sandboxing" within the development community). Will CCleaner Function with Windows 10 Systems? This program is able to work with numerous versions of Windows including Windows 10. After navigating to the official distribution page, the user will simply have to choose which system he or she is currently employing. The download should thereafter begin automatically. How Often is CCleaner Updated? One of the hallmarks of this program is that updates will take place on a regular basis. This is to address an emerging issues related to registries as well as to streamline the cleaning process. Users can disable the automatic update function if desired (although the developers do not recommend this action). Can CCleaner Prevent Pop-Up Windows and Viruses? Please note that CCleaner is not intended to prevent pop-up advertisements nor is it designed to block webpages that may or may not contain malicious coding. Its primary concern is to clean up defective or otherwise corrupted registries. Those who are concerned about viruses should search for effective third-party solutions. Is CCleaner Free to Use? A free version will provide the user with basic tools in order to clean a registry. However, CCleaner Pro includes additional upgrades which may be useful in the event that basic services are not able to effectively address issues with a registry. This alternative will require a one-time payment before the download is approved. What Does CCleaner Pro Offer? There are a handful of advantages associated with the professional version of this registry cleaner. Some of the most notable include automatic updates, the ability to clear history as soon as a browser is closed and real-time monitoring capabilities. What are the Memory Requirements Associated with CCleaner? In order for this program to function properly, it is recommended that at least 600 megabytes of hard disk space are available as well as one gigabyte of RAM (for any operating system later than Windows Vista).